A budget iPhone is something that has been heavily rumoured, and especially in the recent months, predicting that a cheaper less powerful iPhone will be released accompanying the iPhone 5S release in the summer. Details of the budget iPhone have been scarce with really only speculation that it will have lower specs than current generation iPhones, but how much lower, and what will it look like? The guys over atTactushave, what they claim, got their hands on the rear casing of the budget iPhone, offering a glimpse into what it may actually look like. The polycarbonate case, reminiscent of the 3GS design days, measures in at 0.4-0.6mm with the overall device approximately 9mm thick, 120mm in height and around 62-65mm in width, making it both thicker and wider than the iPhone 4 and iPhone 4S. The budget iPhone is expected to feature the same A5 processor as found in the iPad Mini, as well as 3.5-inch Retina display. It will have a 5 Megapixel camera and will allegedly cost around $300, being available around October 15th. The leaks tie in with the expectation that the budget iPhone will be a Retina-display version of the 3GS, allowing Apple to cut production costs from the iPhone 4, 4S, and 5 to allow for a cheaper consumer pricing, but also keeping the budget iPhone competitive enough spec-wise to compete in an ever-increasing crowded market of dual-core devices. The budget iPhone, if real, would be a direct competition attempt to the lower-end Android devices that appear to be saturating the market at the moment, and in such demand that is securing Android marketshare away from the iPhone. 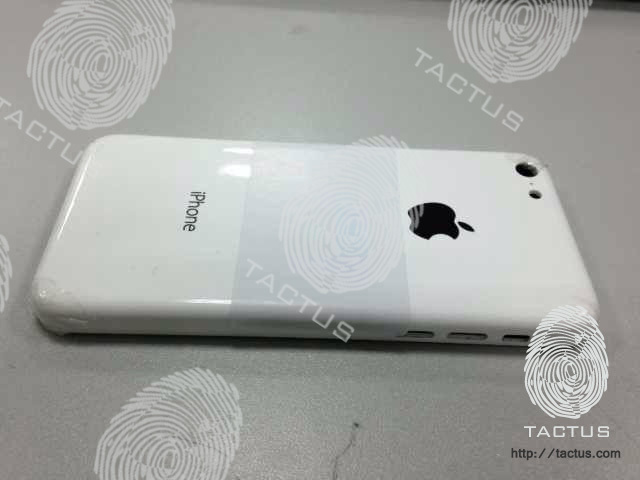 As with any rumour, take it with a pinch of salt, but with it lining up with what we are expecting, there is every chance this is the first real glimpse of the budget iPhone.